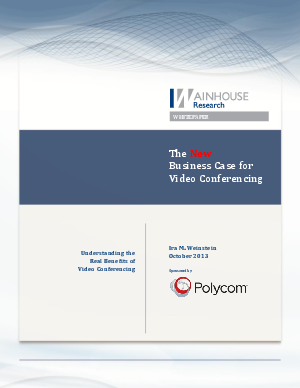 The business case for video conferencing (VC) is changing. Since the mid-1980s, organizations around the world have depended on video conferencing to help them conduct business in a cost-effective, efficient, and more productive manner. Real world deployments have traditionally focused on the conference room as the implementation, the business meeting as the application, and reduced travel expenses as the benefit. But now all this is changing. Today’s savvy enterprises have discovered that video conferencing can be used for much more than the standard project or team meeting. In fact, when properly deployed and utilized, video conferencing can help transform the way an organization does business. This white paper provides insight into the value of video conferencing in today’s business environment, and real-world examples of how organizations – large and small – are leveraging visual collaboration to find new clients, serve existing clients better, and improve their bottom line.